Residents on one Philippine island say they still haven’t received sufficient compensation from a Canadian company that two decades ago caused a huge mining disaster. For centuries foreign powers traveled to the Philippines to take the country’s natural resources – gold, copper and other valuable minerals. These days it’s multinational mining companies, and in their wake these firms have left behind huge environmental damage. 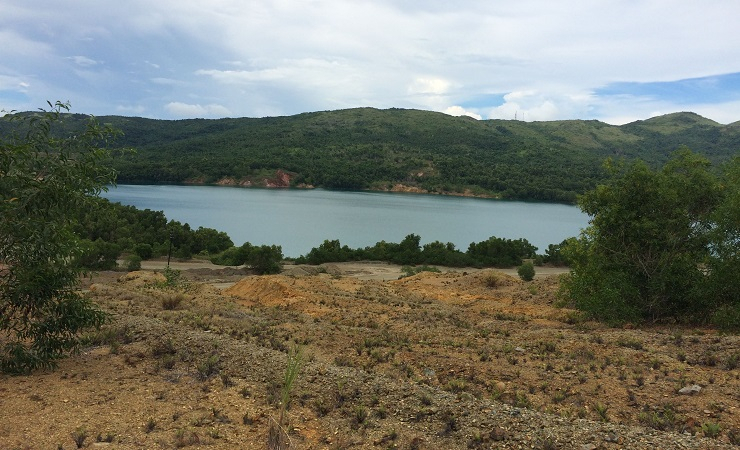 Jason Strother has more from the island province of Marinduque. Elisa Hernandez dips her yellow blouse into the Boac River’s rushing water and then slaps it up against the shoreline’s grey stones. 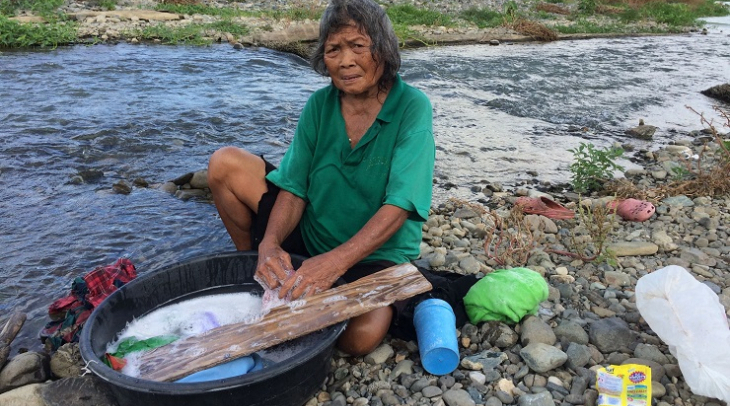 The 73-year-old used to earn a living washing her whole community’s laundry this way. But that all changed in March 1996, when a drainage pipe inside a copper mine burst about 20-kilometres upstream. Millions of tons of toxic mine waste, including lead and arsenic, flooded into the river. At the time, it was the worst mining disaster in the country’s history. For Hernandez and thousands of other Marinduque resident – many of whom are farmers and fishermen – the spill killed off their main source of income, and it has never fully recovered. “After the incident, I started to break out with skin diseases from the toxins in the water. I’m cured now, but people no longer wanted me to wash their clothes in the river,” Hernandez said. Hernandez was party to a decade-long lawsuit against Barrick Gold Corp – the Canadian firm that bought Placer Dome, the company that ran the Marcopper mine. The plaintiffs alleged the company polluted Marinduque’s land, waterways and poisoned its residents. A judge in the United States dismissed the case last year on jurisdiction grounds. Despite the court verdict, the province isn’t giving up its fight, says Adeline Angeles, a local legislator and member of the Marinduque Council for Environmental Concerns, an organization that was part of the lawsuit. Angeles says when mining began on her island in the 1960s people believed that it would make the province rich. “After decades of mining, Marinduque is one of the poorest provinces in the entire archipelago,” Angeles said. The Canadian mining company Barrick Gold, says $US50 million in compensation has already been paid. The Marinduque government says much of that was never received. Today the Marcopper site sits abandoned. It took some convincing and a generous fare to persuade a passenger truck driver to take me into the site. Heading up the rocky road, I sit in the back as we drive past armed guards. There’s an overgrown golf course here and even an airplane landing strip. In the distance is a barren hilltop, which was Marcopper’s first open-pit mine. We arrive at the second pit, which is filled up with metallic blue water and surrounded by a gravelly moonscape. In the Philippines, Marinduque has become the symbol of anti-mining activism. It’s a reminder of what can go wrong when foreign firms from wealthy nations operate virtually unchecked in the developing world. Anti-mining advocates protest against what they say is the continued plundering of the Philippines’ resources. They claim foreign mining companies give little back to the communities they devastate. Camilo Manio is with the group Ayansa Tigil Mina. “Since the birth of the Philippines, foreign countries, foreign nationals or foreign corporations go here because of rich minerals,” Manio stated. He says it started with Spain, then the Americans and Japanese. Now Chinese, Australian and Canadian firms all run mines here. Citing government figures, Camilo says it’s a myth that mining makes the Philippines wealthier. Camilo continued saying that the mining contributed less than 1% to GDP. The group is calling for an all out ban on foreign mining companies in the Philippines. But Roland De Jesus, a director at the Mines and Geoscience Bureau in Manila says mining in the Philippines is safer now. As for Marinduque, he says, it’s not Manila’s responsibility to clean up the mess that a private company left behind. But he offers another solution. 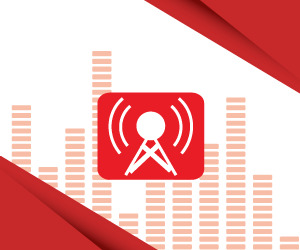 He says that’s only an alternative if a company has the financial and technical capabilities to rehabilitate the damage caused by the previous operator. De Jesus adds that another disaster, like the one that happened in Marinduque won’t happen again because new laws hold more accountable for environmental damage. “I am confident we have a good mining law, one of the best in the world. Before there was a lack of transparency, but now we have a multipart monitoring team,” said De Jesus. Marinduque environmental advocate Adeline Angeles says re-opening that mine is an unacceptable option. The island is now moving forward with launching a new lawsuit against the mining firm in Canada. But any compensation might not come soon enough.